With the instructions on this page, it’s easy to order custom-made low power reading glasses and any other kind of eyeglasses you need from Zenni Optical. Even better, the glasses you need to see better and feel better are available for less than $20 per pair delivered. And you don’t need a prescription. You can get a complete pair of glasses in one of Zenni’s large selection of $6.95 frames — with the anti-glare coating you need for computer use — for less than you can get custom readers anywhere else I’ve found. They even come with a sturdy plastic case and a cleaning cloth. When I started Clear Your Eyes, I couldn’t recommend a place to get inexpensive readers because there wasn’t a good choice. I had found a pair for myself online, but I wasn’t happy with the design or the durability. Then I found Zenni Optical. This is more than just a Zenni Optical review, however. This page offers step-by-step instructions for ordering your reading glasses. Before you order, you’ll need to do two things. First, decide what magnification you need. If you’ve visited an eye doctor, you may have prescription or instructions to find reading glasses with a magnification of +0.25, +0.50 or +0.75 diopters. Whatever you need, you can get it from Zenni. If you haven’t visited an eye doctor, you’ll have to decide for yourself what magnification level would work best to relieve your computer vision syndrome symptoms and solve whatever other eye problems you’re experiencing. For me, +0.50 diopters magnification is perfect. Second, decide what size frames fit your face. That’s important if you want to glasses to look and feel good. Zenni measures frames in millimeters but also notes a general size on all its frames. Do you have a small, medium or large face? For the best possible fit, measure a pair of good-fitting sunglasses or some grocery-store readers that look good on you. Zenni’s frame choices all include detailed measurements, including bridge, lens and overall frame width, the length of the earpieces and the lens height. Here are step-by-step instructions for ordering from Zenni Optical. 1. Go to Zenni by clicking the image below. The site will open in a new tab or window so you will also be able to refer to these instructions. 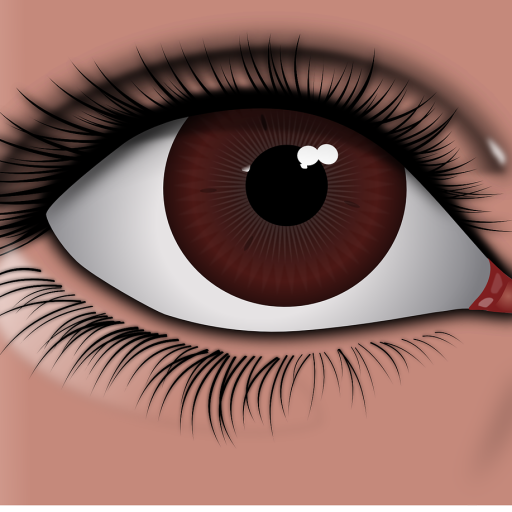 PD – Pupillary Distance: Enter yours if you know it. This is the distance between the centers of your pupils in millimeters. It might be on your prescription or an optician may have told it to you in the past. The number isn’t important for reading glasses, so if you don’t know your PD, choose Single PD and enter the most common measurement, 63. Lens: Choose 1.50 or 1.57, the no-charge options. This doesn’t matter for reading glasses either. AR Anti-Reflective Coating: I recommend adding the anti-glare coating. It costs a little extra, but it’s worth it. Lens Tint Choices: No tint is needed, but you may find that a 10 percent tint also helps you view a computer monitor longer with fewer eye strain symptoms. If you add a tint, consider choosing blue or gray. That’s what many people recommend. Fill in your magnification in diopters in the sphere column. For example, if you want +0.50 low power reading glasses — what some people call “fifties” — choose +0.50 under OD SPH and OS SPH. Put zeros in all other fields. Save the prescription in your account, choose the quantity and click the “Add to Cart” button. 4. Place your order. Once you confirm your choices, click “Checkout” to provide your name, address and payment information to complete the order. Simple reading glasses in $6.95 frames with the anti-glare coating should cost less than $20 including shipping. It’s that simple. While you have to take a moment to choose frames that fit your face and enter your magnification requirements, ordering from Zenni Optical couldn’t be much easier. And with their wide variety of frame choices, they’ll have something perfect for you. I put off ordering low power reading glasses even after I got a prescription from an optometrist, but that was a mistake. Combined with some lubricating eye drops and a little more attention to the health of my eyes, I’ve been able to ease my dry eyes, computer vision syndrome symptoms and other eye problems. I wish this Zenni Optical review had been available when I was looking for a place to get low power reading glasses. I found very little information and no useful recommendations. But my research eventually led me to a company that offers great products at very affordable prices. I you’ll act now and get the glasses you need to see better, feel better and work more productively. Click here to visit Zenni Optical, order your low power reading glasses and get back on the road toward a productive life without painful and unpleasant eye problems.